Knowing how to fish for crappie may seem simple but if you break down the different techniques and strategies, it gets pretty complex. We’ve broken down the most popular crappie techniques to help you start fishing like a pro. If you find a brush pile or submerged log and drop an anchor. Cast out a minnow set below a bobber and start hauling in crappie. Crappie fishing used to be that easy, but crappie tournaments have caused competitive anglers to develop new tactics to catch crappie. 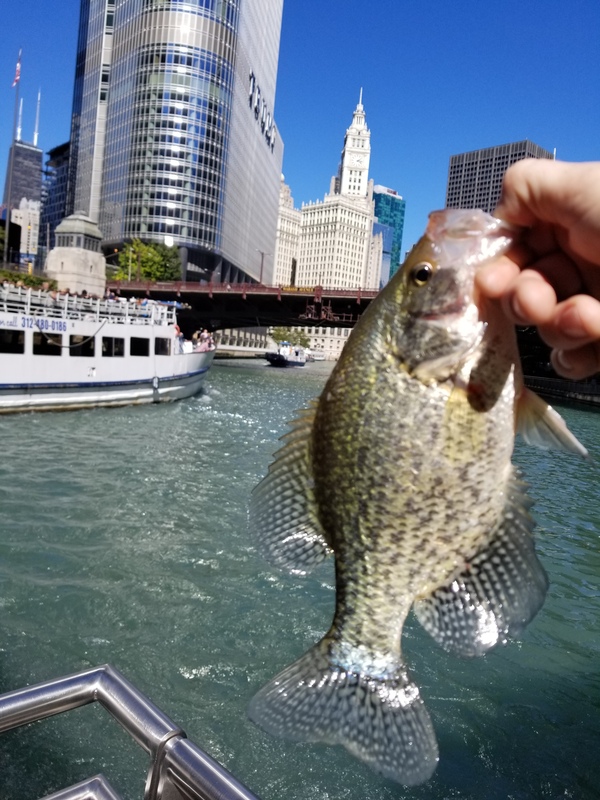 Although minnows still catch great numbers of crappie, the panfish are also susceptible to biting an array of artificial lures ranging from soft plastics to crankbaits. A cane pole with some line attached was the only gear needed to catch crappie back in the good old days, but now crappie anglers can choose ultralight spinning outfits, 9- to 10-foot jig poles or 14- to 16-foot trolling rods for their favorite crappie tactic. 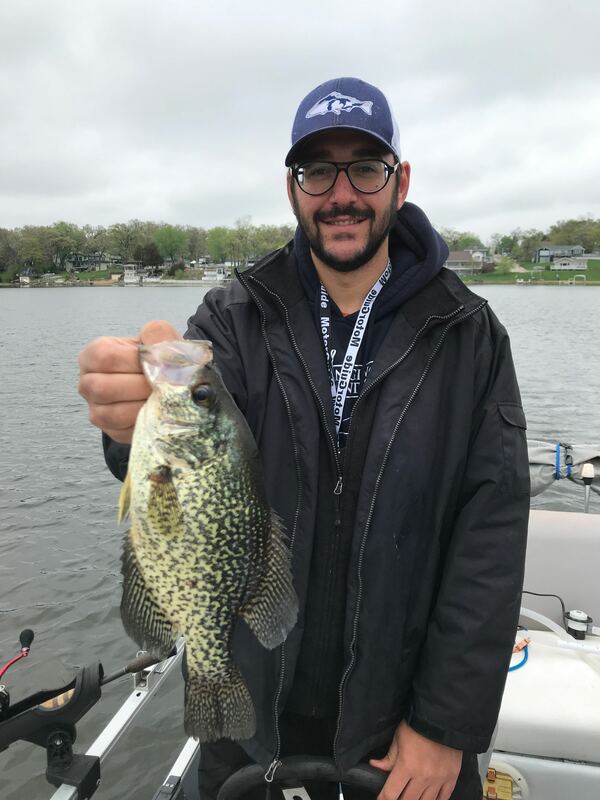 Crappie anglers also have multiple choices of lines to try ranging from 2-pound test monofilament or fluorocarbon for fishing in clear water for pressured crappie to 20- or 30-pound braid for fishing in standing timber. Here’s a look at some of the top tactics and the gear to use for catching crappie throughout the year. This is probably one of the easiest and most productive ways to catch crappie any time of the year. When fishing shallow in the spring, use a fixed bobber set a foot or 2 feet above a minnow attached to a number 1 or 2 Aberdeen hook. You can either present the minnow without a weight to let the bait swim around freely or add a bb split shot to keep the minnow at a certain depth and preventing it from swimming around too much and hanging up your rig in the cover. 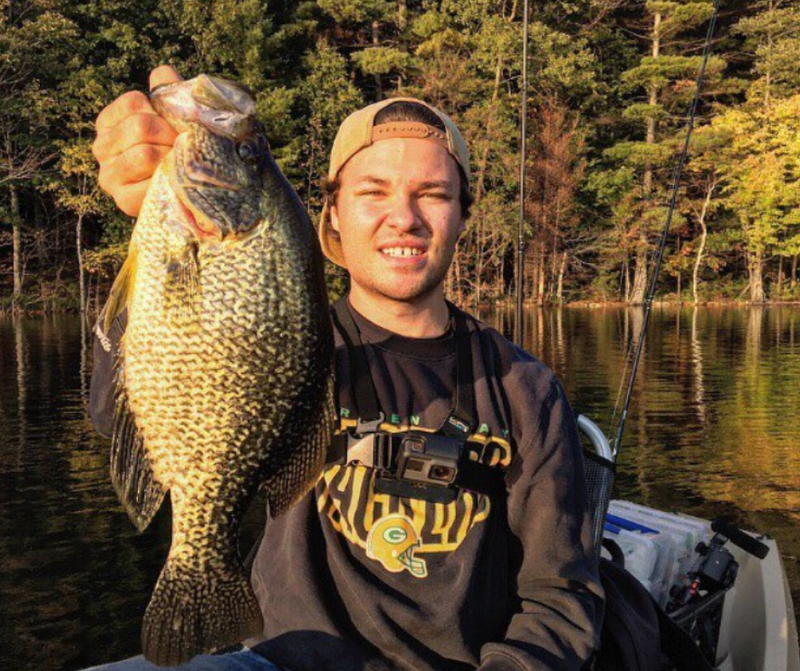 When fishing brush piles or standing timber in deeper water, use a slip bobber and set it at the depth you find crappie suspended in the cover. Use a couple of large bb split shots or some 1/8- or 1/4-ounce pinch-on sinkers to drop your minnow to the desired depth. A longer rod ranging from 7 feet for casting or 10 to 12 feet for flipping to the cover works best for the bobber and minnow setup. Casting and vertically presenting jigs to crappie are my favorite techniques for catching crappie on my home waters of Lake of the Ozarks. 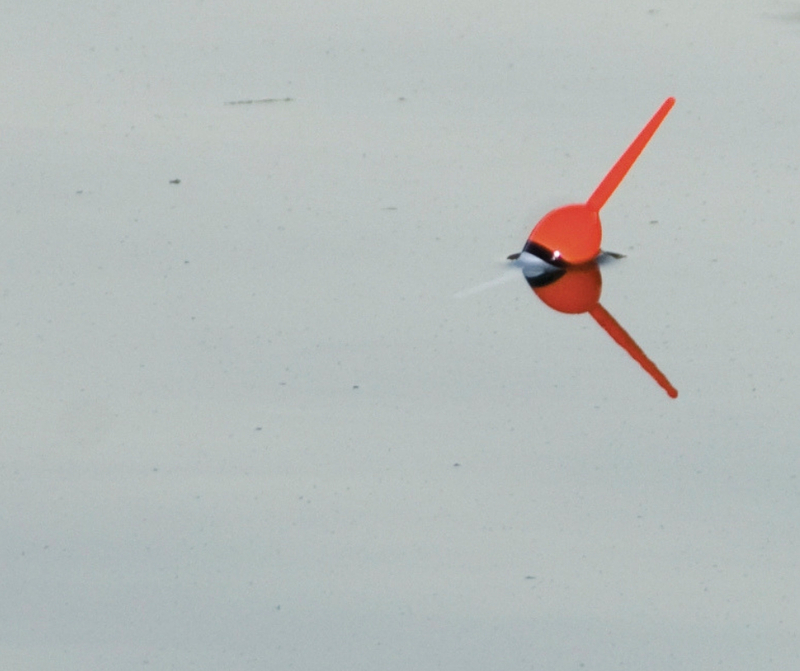 For the more aggressive fish hanging around brush piles, I like to cast past the target and retrieve a 1/16-ounce jig adorned with some type of soft plastic body over the top of the brush pile. If this presentation fails to trigger a strike I position my boat over the brush, drop my jig straight down into the cover and let it sit in the strike zone until a crappie bites it. My gear for this type of jig fishing consists of a 6 1/2-foot medium action rod and spinning reel filled with 4- or 6-pound fluorocarbon line. 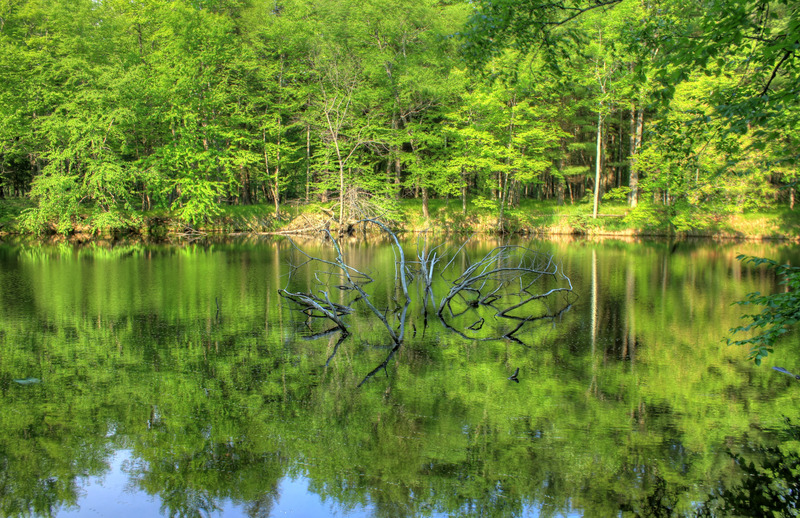 When crappie tuck up under docks or overhanging tree limbs, delivering a jig in a fashion similar to shooting a bow and arrow will place your bait in those hard-to-reach areas. The keys to this tactic are using a 6 1/2- to 7-foot rod with a limber tip for loading up a jig to propel and 4- to 6-pound line that swirls freely off of a spinning reel as the jig shoots towards the target. A 1/16-ounce jig works best for shooting because it skips well when it hits the water; a 1/8-ounce jig tends to plow when it hits the water while a 1/32-ounce jig isn’t heavy enough to pull the line off the reel and reach the target. Shoot a jig by opening the bail of the spinning reel and hooking the line with your index finger. Next, grab the bend of the jigs hook and pull on the jig to arc the rod tip. Make sure to aim your rod slightly downward and then release the line from your index finger to shoot the jig to the target. This tactic allows you to troll jigs or minnows with multiple 14- to 16-inch rods off the front of your boat. Rod holders designed to hold multiple long poles are a necessity for spider rigging. The standard setup for spider rigging consists of two jigs or two minnows on number 1 or 2 Aberdeen hooks tied at various lengths above a heavy sinker (1/2 to 1 ounce depending on depth and wind or current). This is an effective way to catch big crappie suspended in open water. 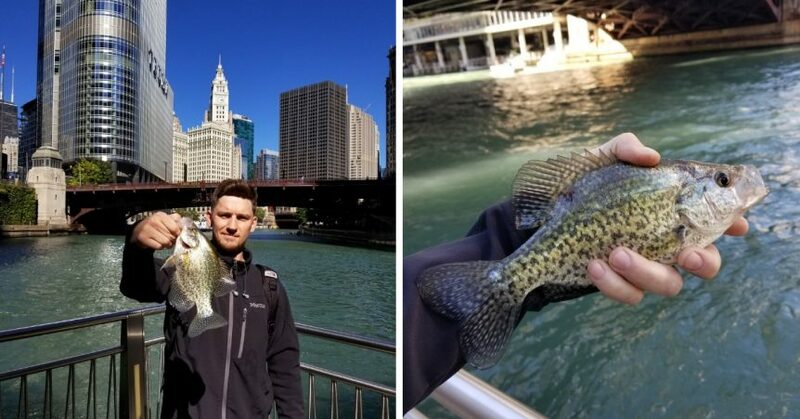 After finding schools of crappie with your electronics, select a 2-inch medium-diving crankbait to troll through the schooling fish. Select 4- to 6-pound fluorocarbon line to make the crankbait dive to 10 to 12 feet. You can either use rod holders to troll multiple crankbaits or you can hold a rod for trolling a single crankbait.